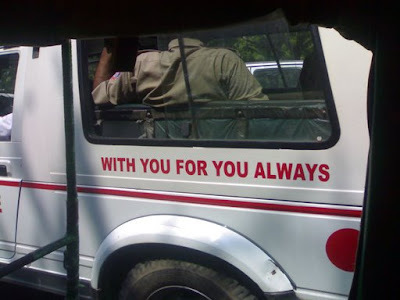 The slogan is painted on all the Police Control Rooms (PCR) vans of the Delhi Police. Though many people have really funny, or sometimes really sad stories to tell about the corruption of the Police Force of the Indian National Capital, but my experience has been only good so far. They have been very helpful on the few occasions that I was in need. It is good to hear your experiences have been positive. I can say the same for our group of policemen and women. I have to smile at ken mac's comment because that's a little how I felt too reading it. Like that song from Sting "I'll be watching you... where ever you go...". Like your shadow, I know your every move, brrr... But I am glad you had good experiences and that they were helpful when you needed it.